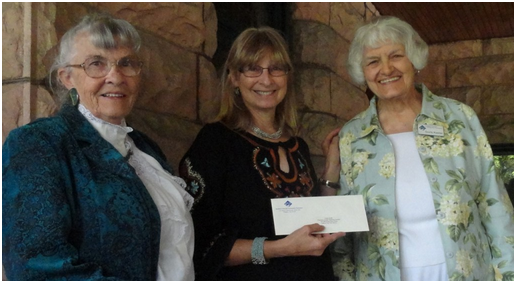 The Fremont County Historical Society, on behalf of the Cañon City Geology Club, received a $700 grant from the Southern Colorado Community Foundation for help with reclamation of the historic New Hope Amethyst Claim. Work to be done this fall includes filling of previously-worked trenches, erecting safety fencing, erosion control, and reseeding. This historic mine has belonged to CCGC for many decades, providing members and other local geology clubs with the opportunity to excavate amethyst and tourmaline, among other minerals. The vein produces a nice deep purple as well as a lighter violet color of amethyst. McKenzie and Dakota Orgill of Orangeville, UT, pick out the minerals they like the best in the “Everything Begins with Mining” exhibit at Aspen Leaf Bakery in Florence. There are many ways to appreciate rocks. Many of us notice them simply for their color, texture and shape, irresistible and raw in nature. We love the heat of the rough sandstone on our bare feet on a hot day, or the way those flat ones skip across the Arkansas. We feel grateful for the cairn that guides us safely along a foggy trail. Yet how often do we acknowledge the hidden part rocks play in our daily lives? Everything we use to communicate, travel, work, play, all the mundane and extravagant items we require daily are available to us only because they come from the rocks beneath our feet. Most of the minerals and ores in Steve Wolfe’s “Everything Begins with Mining” exhibit at Aspen Leaf Bakery came from Fremont County. It was during my first visit to the Western Museum of Mining and Industry north of Colorado Springs where I studied a display explaining that everything in my life – in my home, my car, at my work – everything on the planet comes from the landscape beneath our feet. That’s when I began to respect the lowly rock. There is a new display case at Aspen Leaf Bakery, 113 Main Street in Florence, put together by Steve Wolfe, exhibiting many of our natural resources found in Fremont County, but Steve’s exhibit takes us a step further, showing how we use these minerals from our back yard in our daily lives. Check out north on the compass sitting next to a lump of magnetite. Amaze at the transparency of the large plate of muscovite mica (white mica), and compare it with biotite mica (black mica). Marvel at the neon of malachite and azurite, both copper ores. Compare 5 types of common quartz: milky, smoky, rose, amethyst, chalcedony. Find the most important ore making up titanium. Which is the softest mineral on display? (Hint – your kids use it everyday in school). What mineral makes up the white pigment in paints and cosmetics? Note the stages bauxite ore goes through before it becomes the aluminum we know so well. How many uses can you name for silver before going to see the display? In what ordinary-looking ore do you find diamonds? What mineral played a role in US politics with South Africa in the 70’s and 80’s? 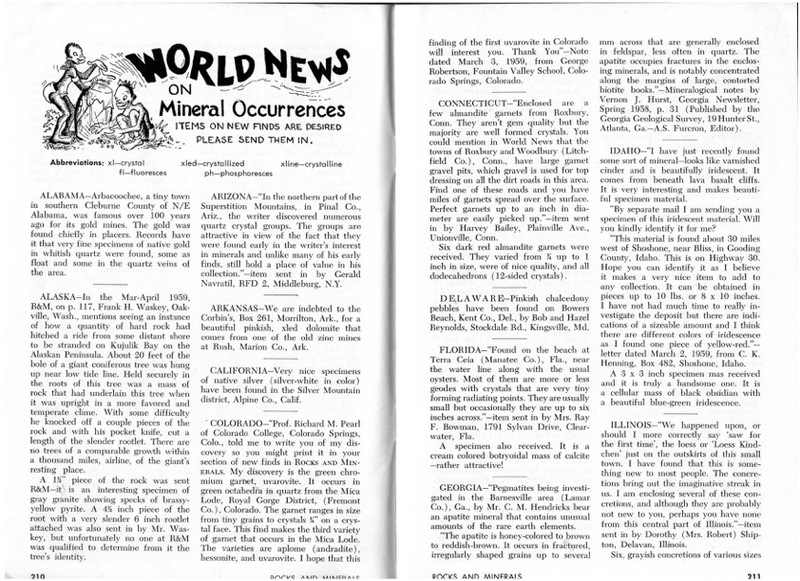 And what’s the mineral we couldn’t live without, the ubiquitous one that comes from the Climax Mine near Leadville? How ordinary these extraordinary rocks look – without them we would have no cell phones, no computers, no transportation, no anything. Before you order a piece of pie and a cup of coffee, take a look at the display and consider rocks in a new dimension. Hearts come in all shapes and sizes in the “Your Rock My Heart” Cañon City Geology Club exhibit at the Kitchen Pantry in Cañon City. Lest you think Steve is all academia, stop by the Kitchen Pantry at 619 Main St in Cañon City. Enjoy a doughnut and a more whimsical segment of Steve’s rock collection. It only requires a little imagination to see the valentines in Gloria’s window. What sweetheart wouldn’t enjoy a “You Rock My Heart” for Valentines Day?! 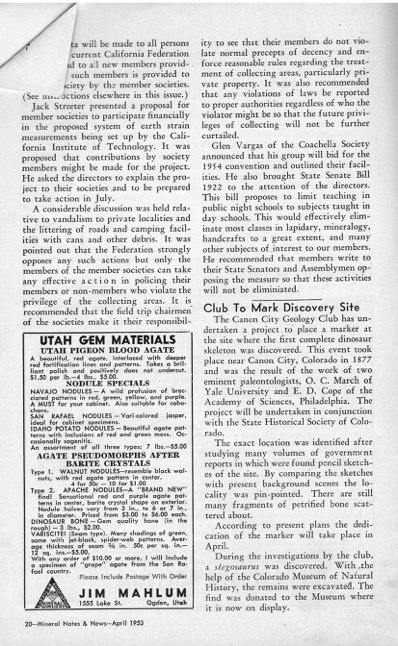 For more information on Fremont County geology, read Steve’s 1991 thesis “The Natural History of Fremont County, CO”, available at the John C. Fremont Library in Florence. One of Canon City High School’s best-kept secrets is the large mineral collection that’s been in storage for several years. 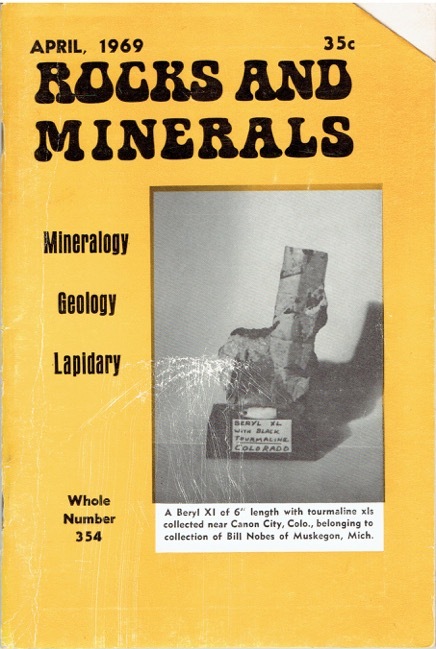 Much of the contents was collected in the early part of the Twentieth Century and many pieces flesh out the story of the State’s mining history. Last week, Cindy Smith and Dan Grenard got in touch with Science teacher Brian Van I Warden and made arrangements to go in with some friends and members of CCGC, to unpack the assorted boxes and assess the contents. Presidents Day, with the school empty of students, gave us the perfect opportunity. In seven hours (not counting lunch at Pizza Madness) we unpacked the moth-balled collection, which numbered 274 pieces. There turned out to be many valuable and beautiful specimens, but many needed to be correctly identified. New labels were made, and the whole set was cataloged. We were lucky to have Bob Carnein, mineral ID class teacher and geologist from Florissant, to help with some problematic pieces. Jim Meachum was there, of course, providing his usual expertise and experience, and Carissa Snyder from the BLM shared her expertise. Among others helping were Gordon Bell, Donnie Franklin, Gerry Harter, Frank Lovato, Barry Smith and Kit Kederick. Dan meanwhile created a photographic record of the entire collection by shooting each individual specimen. When cleaning is finished, some of the best pieces will be put on public display. Forty-three members of the Cañon City Geology Club attended a field trip to the Florissant Fossil Beds Monument and the Florissant Quarry on July 24, 2014. Steve Veatch met us at the FFBM and gave us a special tour pointing out unique features of this ancient lake bed. Along with an abundance of diverse insect and plant fossils embedded in shale, did you know that massive petrified redwood trees lived in this area 34 million years ago? The visitor’s center at FFBM has very informative exhibits and a movie that members enjoyed. During lunch, Steve Veatch gave us a demonstration of how to find fossils in the shale at the Fossil Quarry.